September means that outdoor temperatures are cooling down. Excessive heat is no longer a consistent worry. If you’ve ever wondered if you have what it takes to add meat rabbits to your repertoire for the reasons most important to you, September is an excellent time to give the idea serious thought. Why? Because just a few rabbits can provide your family with both meat and manure for the garden. A well-fertilized garden will explode in productivity, yielding its abundance through spring, summer and fall. There are some considerations, however. If you resolve to raise your own meat for the sake of sustainability and self sufficient living, this means you also take upon yourself all the services that the farmer, butcher and grocer currently provide. What do you get for your efforts? 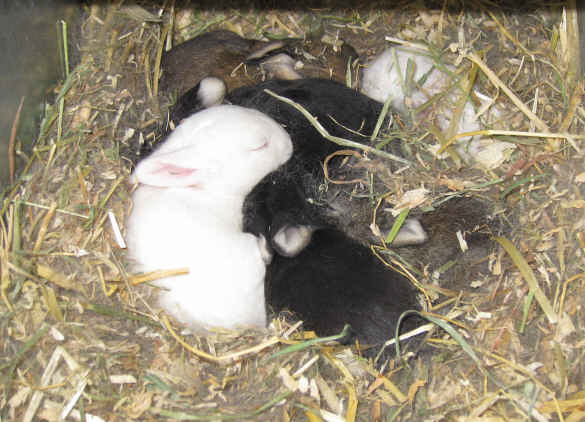 A single healthy doe can provide 6-10 live rabbits per litter. That translates to 24 pounds of butchered meat per litter on average. Multiply times 7 litters per year, and you will have stored away or eaten up to 210 pounds of healthy meat, per doe, per year. But that is not all. Besides a freezer full of fryers, there is manure, pelts, and pet food. 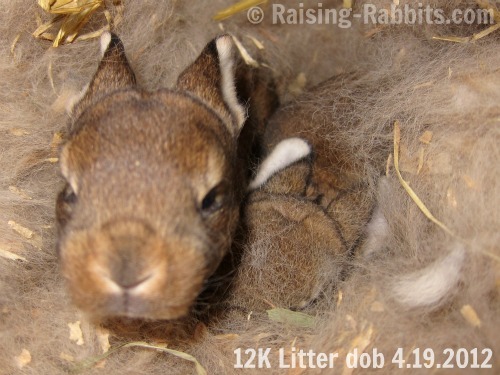 Plus you might earn a few extra buck by selling pets or breeding stock to other rabbit raisers. Imagine the responsibility, character and pride your kids can learn and earn by participating in the provision of food for the family. Read much more about rabbits for self sufficient living here. While some pet rabbit owners might be horrified at the idea of eating rabbits, our long-running rabbit raising survey has shown us that the vast majority of all rabbit owners, including pet rabbit owners, have no problem with the idea of eating livestock rabbits. Rabbits are a quintessential renewable resource. The good news is that it only takes a few rabbits and minimal space to provide for the needs of an entire family. Urban dwellers can easily raise a few rabbits on a covered patio or in the back yard. In the opinion of Sidney BC, Canada, resident Kerry Finley, the manure from his pet rabbit has contributed to his garden’s productivity. This is important, as Mr. Finley now raises nearly all the fruits and veggies they need every year in his own yard. While Mr. Finley apparently keeps only one pet rabbit at the moment, it is clear that he actually thinks rabbits might serve multiple purposes. "'A lot of people don’t want to think about it, but in an emergency or disaster situation, rabbits could be a great source of protein for us,' he said. 'Often we’re told that in an emergency situation we should have three days of food and water. If the earthquakes in Japan [in March 2011] taught us anything, it was that we’re going to need more than three days of food. Keeping rabbits and even chickens could be the answer to that food source.'" 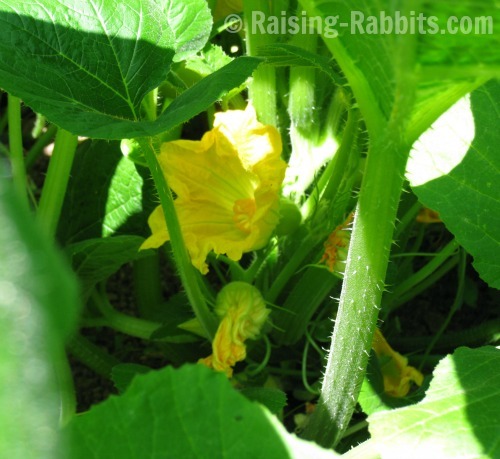 Read the entire article and see a pic of his rabbit and garden here. The other day our buddy Bill, a sawyer, stopped by to help us topple a large hemlock tree which we will turn into firewood. The trunk was too large to hug. With two cuts on one side of the trunk, Bill cut out a wedge-shaped notch which he knocked to the ground. He then made a cut on the other side of the tree. The mammoth teetered, tottered, and then keeled over with a thunderous crack like a gunshot. After the great tree fell, Bill rested a hand on its fallen trunk and communed with the tree. "My friend needs your wood to keep him warm through the winter - probably not this winter, but maybe the next one. I’m just here to help my friend." Thus he absolved himself of apparent guilt in the murder of a hemlock tree. My jaw dropped into the sawdust. So vegan animal rights activists aren’t the only ones with guilt trips?! If Bill could recognize a loss of life in the case of this hemlock, how is it that vegans can live with themselves after biting the heads off broccoli stalks? Everything lives and then dies to feed other species at all levels of the ecosystem. The parts of the hemlock we do not burn will return to the ground to feed the soil microbes. And on life goes. For comic relief, here is a very entertaining, tongue-in-cheek music video entitled "Carrot Juice is Murder," by the Arrogant Worms. They put their message to delightful harmony. Warning: In our opinion, this video is really funny. Gratitude is a good thing. On one hand, I don’t see myself chatting with a fallen hemlock. On the other hand, the verbalization of gratefulness for its resources certainly shows an awareness of our interconnectedness with and need for every aspect of the ecosystem in which we live. In like manner, the Native Americans gave their thanks verbally to the animals they killed in order that they themselves could live. However, lest I cross a line into some sort of worship of the tree or undue reverence for the rabbit that I eat, let me instead bend my knee to the Creator of rabbit, tree, and me. And claws they are! They grow fast enough to surprise you with red beads of blood along a lengthy scratch if they get too long or sharp. A visitor asked us recently about what kind of tool we used to cut our rabbits’ toenails, so here’s the straight scoop from Aurora Rex Ranch. This is a picture of the standard animal nail clippers we use. It has comfortable handles, is easy to use, and cuts quickly and sharply. It has a little safety flange which can be moved to limit the amount of nail that can fit into the trimmer. If you can clearly see where the dead claw stops and the living quick starts, it is easy enough to use the clippers without the flange. Just move it aside as we have done. 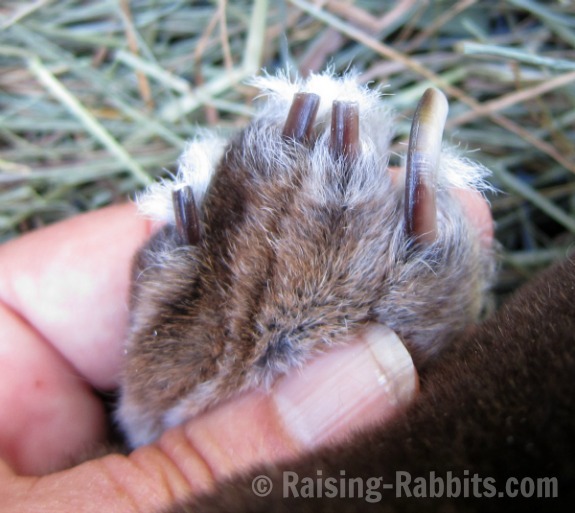 This is a a photo of a rabbit’s hind paw. We left the 4th claw (temporarily) unclipped for comparison. You can see where the pink quick stops and the dead nail growth continues. The hind feet have just 4 claws, but the front paws have 5. That fifth claw in the ‘thumb’ spot is tucked around and lower on the foot, making it easy to miss. 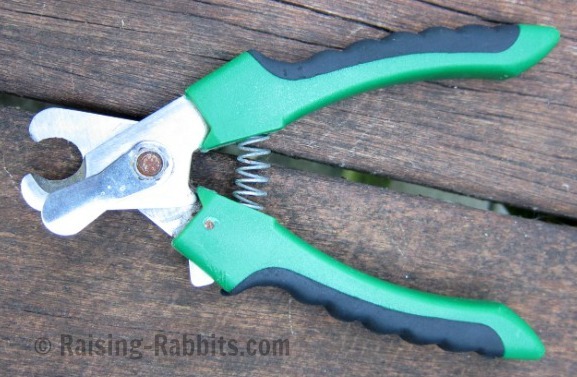 Trim claws easily - just insert into the clipper and snip! Avoid the quick, which will bleed if cut. If you nick it by accident, you can apply styptic powder to the cut. It'll dry up quickly. Find lots more detail and pictures at Trim Claws. Your friends at Raising-Rabbits.com wish you a wonderful September.